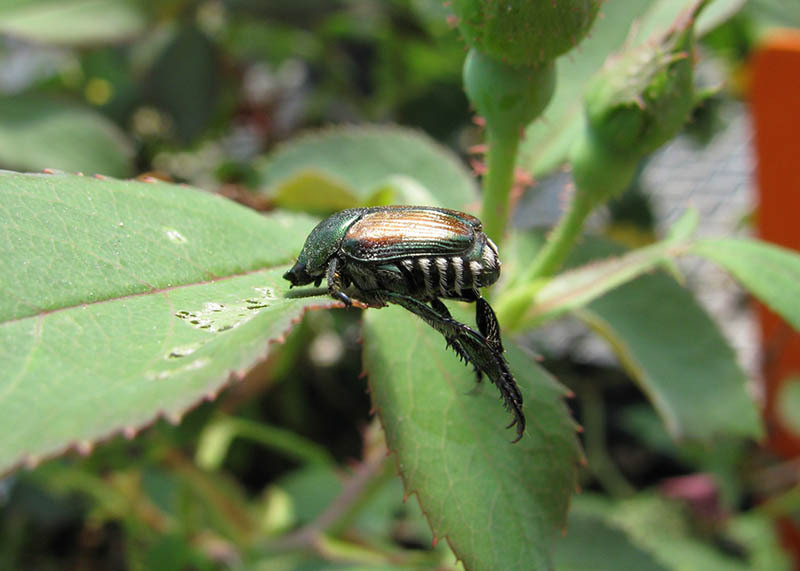 Japanese beetles are active – can you manage them without neonicotinoids? In the last week I got reports from NCSU Extension Area Agent (Extraordinaire) Cliff Ruth that Japanese beetles were starting to fill traps in WNC. Yesterday I finally found a couple of Japanese beetles in Raleigh on hibiscus and roses. When I say a couple though I mean I literally found 7 beetles at the JC Raulston Arboretum and 2 beetles after searching the whole Raleigh Rose Garden. Over the past several years there have been fewer and fewer Japanese beetles on campus and around Raleigh. Several years there have been droughts during Japanese beetle oviposition which I believe is responsible for this trend. Japanese beetles need to lay eggs in moist turf so that the eggs do not desiccate and so the young larvae can burrow into the soil after hatching. This is why Japanese beetles are still abundant in neighborhoods with irrigated turf, golf courses, and similar situations. Thus, Japanese beetles persist in the areas where people hate them most. Places with highly maintained turf. Japanese beetle adults feed on the foliage of many plant species including Tilia spp., crape myrtle, roses, ornamental fruit trees, and others. 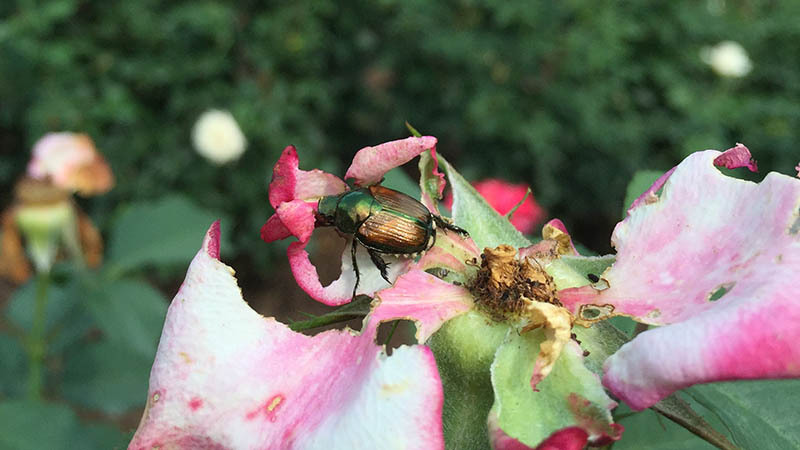 It has become common for homeowners and professionals to treat plants with neonicotinoids, especially imidacloprid, to reduce Japanese beetle feeding. An imidacloprid drench can reduce feeding on trees for multiple years and is thus an effective alternative to foliar applications of pyrethroids, carbamates, and organophosphates that were (and still are in some cases) the standard practice. One option of course is to plant less susceptible plant species some of which are listed in a UKY Extension sheet. 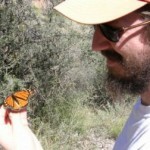 In the case of leaf feeding scarab beetles (and most insects) there are other options. One active ingredient is chlorantraniliprole (Acelepryn) which has low vertebrate toxicity and good control of similar pests to imidacloprid. Azadirachtin products can reduce leaf damage and even neem oil can provide short repellency (1-3 days). A slew of pyrethroids are also effective at reducing Japanese beetle damage but are very broad-spectrum insecticides (broader than neonics) will have severe effects on non-target and beneficial insects.